Dr. Andrew A. Vladimirov is an outstanding graduate of Kings College London and University of Bristol. Andrew is a researcher with a wide area of interests ranging from cryptography and network security to bioinformatics and neuroscience. He published his first scientific paper at the age of 13 and is one of the co-founders of Arhont Ltd. 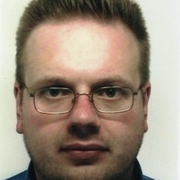 Furthermore, Dr. Vladimirov was one of the first UK IT professionals to obtain the CWNA certification and is currently in charge of wireless consultancy division within Arhont Ltd.
Andrew Vladimirov is currently considered a "single author." If one or more works are by a distinct, homonymous authors, go ahead and split the author. Andrew Vladimirov is composed of 1 name.